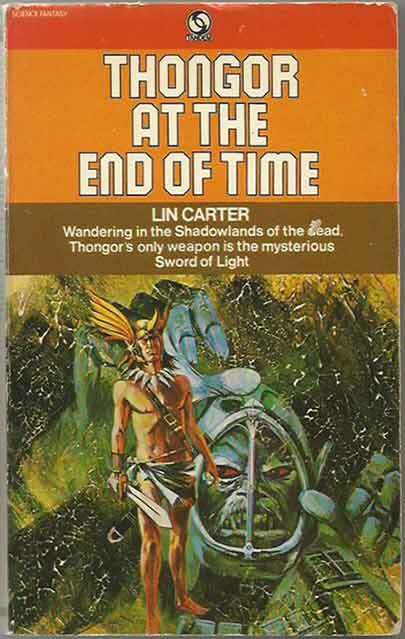 *Science Fiction, Fantasy & Horror: Thongor was Lin Carter’s most influential creation. Written with Edgar Rice Burroughs and Robert E Howard in mind, it revived interest in Sword And Sorcery as a genre. Marvel even ran a comic (Creatures On The Loose) featuring Thongor in the 1970’s. 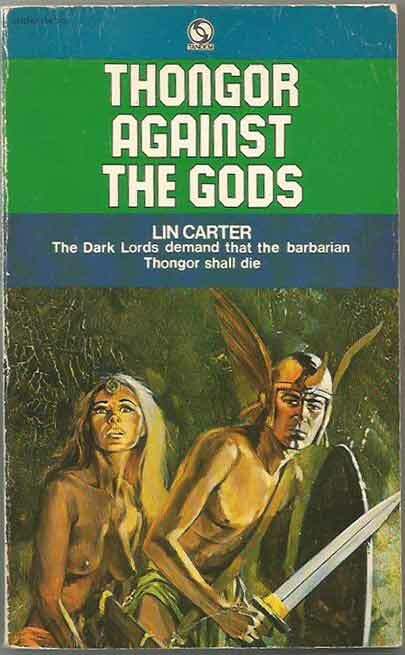 We have the original sextet of Thongor novels, mainly in 2nd UK PB (a final book, Young Thongor was added in 2012). 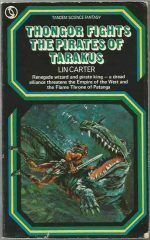 Thongor Fights The Pirates Of Tarakus is the only exception, being a 1st UK PB. 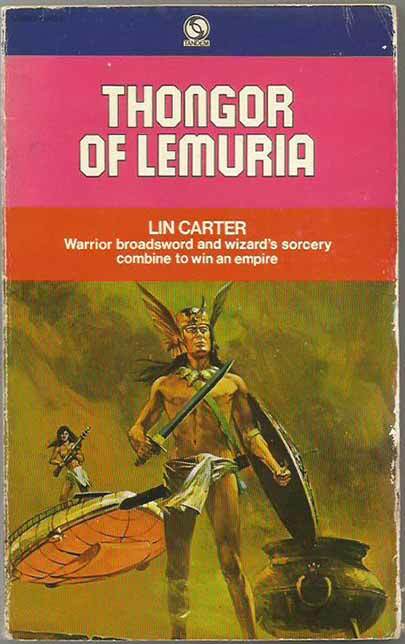 Most are in grades VG or VG/FN, although unfortunately the first book of the series, The Wizard Of Lemuria, looks as if it’s had as many adventures as the hero, being a FA copy. 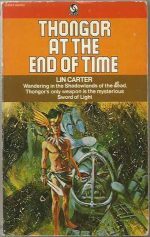 *Science Fiction, Fantasy & Horror: Lin Carter’s creative powers were in full flood when he wrote the Zanthodon series which we have just added (complete series of 5). Set in an underground world below the Sahara (where else?) – a bijou lost land with room for jungles, mountains, seas and a range of exciting creatures including dinosaurs and long-lost human tribes. All of these books are 1st US PB, 1st printing in grades ranging from VG/FN to VF/NM. 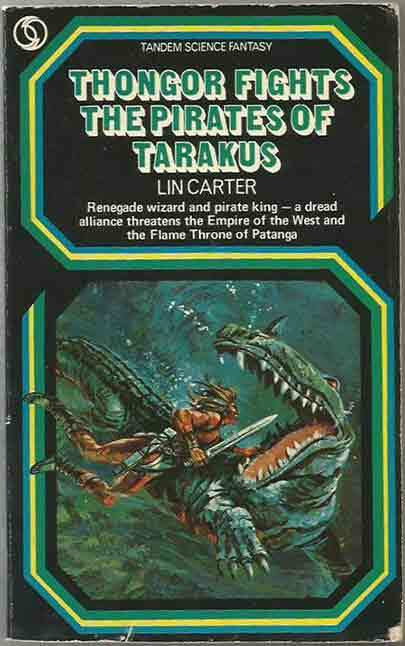 All but one have cover art and illustrations by Josh Kirby: Zanthodon has cover art and illustrations by Thomas Kidd. 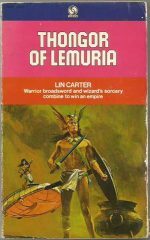 *Science Fiction, Fantasy & Horror: Lin Carter, generally best known as an editor poet and critic, edited the popular Ballantine Adult Fantasy series and is particularly known for his collaboration with other writers on the Conan series. He was also author to several successful sword and sorcery series. The Green Star saga involves a crippled Earthman who uses soul projection (an idea borrowed from Edgar Rice Burroughs) to acquire the well-preserved but dead body of a hero on a planet circling a green star. Naturally many adventures ensue as the hero enjoys flexing his muscles again. We have the complete set of Green Star novels, all in the 1st US PB incarnation. All of them are illustrated by well-known artists, including Roy Krenkel, Michael Kaluta and Michael Whelan.